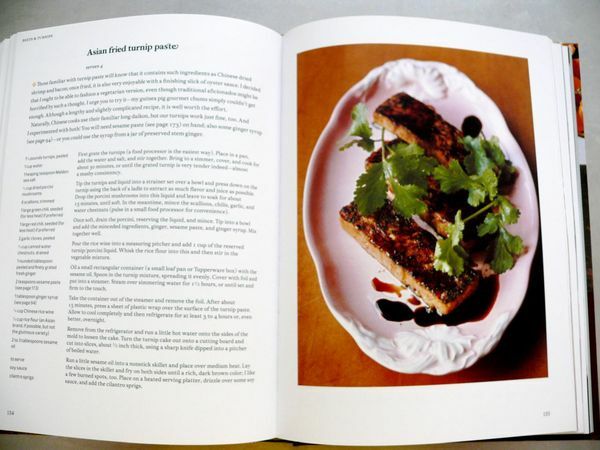 i was at the book store the other day, alone, drooling over the recipes in simon hopkinson’s cookbook, the vegetarian option. i mentioned it, in passing, when i was telling james about my day. i swear i wasn’t dropping hints but he bought it for me today! i’m so excited. i wanted to get this book because from what i know, simon is a chef, not a vegetarian, but appreciates that you can create mouth-watering and fully satisfying meals that don’t including meat. i like books with meat-free recipes that are part of the book because they’re great, not to flesh out the “sides” or “vegetables” sections. these recipes are deserving of the heart of a cookbook, except in this case, that means the front and back of the book too. these are some of the pages that caught my eye in the bookstore. of course the onion and egg dish stood out (top), but also, chinese recipes that typically involve pork are included. i’m excited to learn how to make decent fried turnip cakes without it. i was looking through my older cookbooks last night to pick one to feature on the blog soon, since i’m trying to make better use of them by testing a recipe or two at the start of every month. but my new shiny toy is sure to be the feature of my next post. coming up: tomato jelly with basil and goat cheese? possibly. 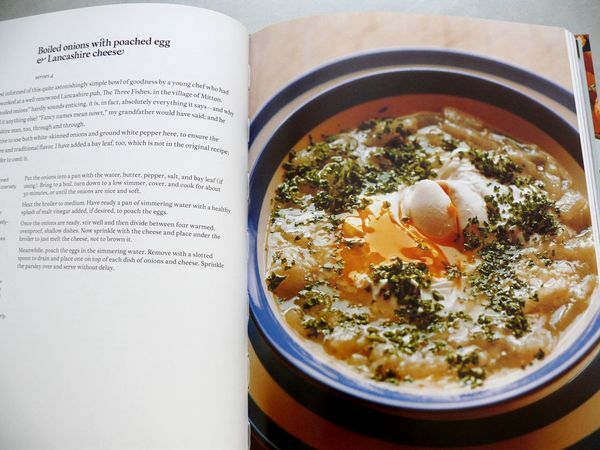 cream of fennel soup with garlic butter? perhaps! Previous Articlehot pizza, hotter chili oil and cold beer. Ooh, do the onions! Onions + cheese = heaven. Or maybe something more summery now and the onions for fall.